Arkansas traveller and chart topper Justin Moore headlines Nu Country TV on Saturday September 23 at 9 pm on Channel 31/Digital 44. Old Crow Medicine Show also returns to the show repeated Monday at 8 am on the eve of its second Australian tour. 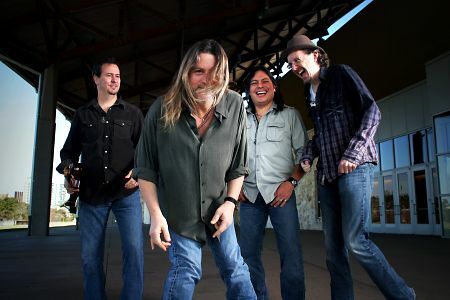 Texan Walt Wilkins, son of a fighter pilot finds heaven in his home state, in the program filmed and edited by Laith Graham. Rhonda Vincent, her brother Darren and Jamie Dailey enjoy a bluegrass family reunion in Behind Bars with fellow Grammy winners Earls of Leicester . Tamworth multi-instrumentalist Ashleigh Dallas also returns with a little help from three generations of her family. Justin Moore propelled his latest chart topping hit with a vibrant video filmed on bikes and in bars to make his belle ring for him. Moore, 33, ignited Somebody Else Will from his fourth album Kinda Don't Care as his sixth #1 hit after 43 weeks on charts. His first Small Town USA in 2009 was followed by If Heaven Wasn't So Far Away, Til My Last Day, Letting the Night Roll and his fifth - You Look Like I Need a Drink in 2015. Justin, father of three daughters and a son, moved back to hometown Poyen in 2014 with wife Kate and built a new home on land he purchased from his grandfather. The property has been in his family since the late 1800s and Moore bought it so he and his family are there forever. 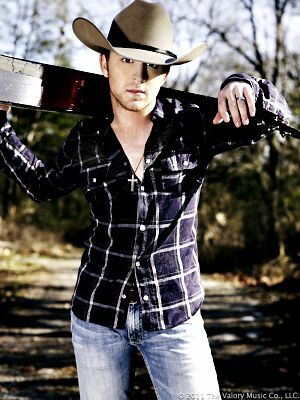 CLICK HERE for a Justin Moore feature in The Diary on January 30, 2013. October tourists Old Crow Medicine Show revive a live Bob Dylan gem Just Like A Woman from ninth CD-DVD, 50 Years Of Blonde on Blonde . They also performed live versions of Dylan classics Rainy Day Women #12 & 35 on a previous show on the eve of their return to the Forum in Melbourne CBD on Sunday October 1. Memphis troubadour Valerie June joins them on tour. The crows have impeccable timing - they return the day after our AFL Grand Final. They flew high at CMC Rocks the Snowys on their debut at Thredbo in 2009 with latter day superstar Taylor Swift and another Arkansas traveller Joe Nicholls. 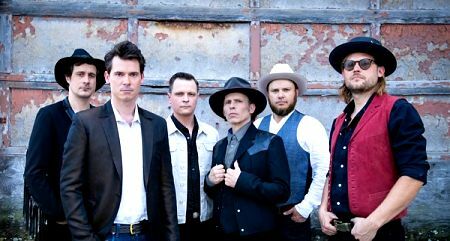 Old Crow Medicine Show , Valerie June and Kevin Welch guest at inaugural Australian Americana Honours night at the historic Thornbury Theatre on Monday October 2. The show is presented by Michael Chugg, Nash Chambers and international Americana Music Association as a celebration of Americana music in Australia. Local artists on the show include Busby Marou , Kasey Chambers, Catherine Britt, Shane Howard, Bernard Fanning, Henry Wagons, Emily Barker, Ruby Boots and Jordie Lane & The Sleepers . Americana Music Association will present two honours during the show. Kasey Chambers will be awarded for her commitment to roots music and being an ambassador of the genre around the world. Brian Taranto, founder of the Out on the Weekend festival, who has championed the Americana community for more than a decade, will also receive an award. Texan troubadour Walt Wilkins proves his depth of talent on his Nu Country debut - he performs Something Like Heaven from eighth solo album Plenty. The singer-songwriter was born in San Antonio and raised in Austin. He bought his first guitar at 13 from lawn mowing money and 11 year Nashville stint as a songwriter before returning to Cedar Park, Austin, in 2015. Wilkins, now 55, also cut discs with Austin super group The Mystiqueros and wife Tina Mitchell Wilkins. On his Texas return Wilkins produced creative records by artists including Brandon Rhyder, Pat Green, Jamie Richards, Sam Baker, Bonnie Bishop and his wife, Tina. “My most memorable moments throughout my career always have my wife in them,” Wilkins said. “Whether it's a long drive across Texas, or singing on stage with the woman I love, we've created some priceless memories. They perform Dallas Frazier classic Beneath Still Waters live with their Simply Bluegrass Band in a festive family reunion. Rhonda, 55, previously appeared on Nu Country with Darrin's award winning duo Dailey & Vincent in the title track of her 14th album Taken. The bluegrass queen has released 18 solo albums and two duet discs with Daryle Singletary and veteran Texan honky tonk hero Gene Watson. Singletary and Shotgun Willie Nelson, 84, also guest on Rhonda's two-disc set Only Me . Rhonda featured on Nu Country with vocal and video cameo by singing actor Dolly Parton in Heartbreaker's Alibi from 12th album All American Bluegrass Girl . The banjo-playing mother of two has won a brace of major bluegrass awards since her debut in her family band at the age of five. Rhonda, co-producer of her albums, is a major inspiration for younger peers Alison Krauss and Alecia Nugent. She harmonized on three songs on Georgian superstar Alan Jackson's 18th album Freight Train including hit It's Just That Way . It's one of three Top 5 hits co-written by expat Port Douglas singer-songwriter and former Starmaker winner Kylie Sackley. 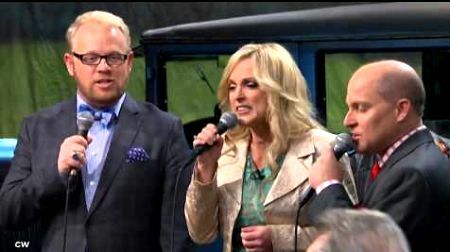 CLICK HERE for a Rhonda Vincent feature from the Diary on April 20, 2004. CLICK HERE for a Vincent CD review on September 25, 2006. Jerry Douglas and his Earls of Leicester band return to Behind Bars with Don't Let Your Deal Go Down from their second album Rattle & Roar . They previously visited their church of choice in On My Mind from their Grammy award winning self-titled debut album. Their name honours bluegrass pioneers Earl Scruggs and Lester Flatt. 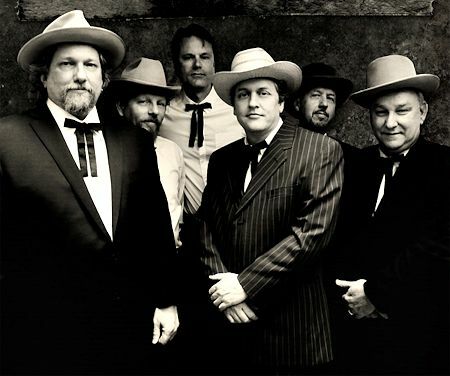 Fourteen time Grammy winner Jerry Douglas and band co-founder was inspired to play Dobro because of legendary Flatt & Scruggs dobroist Josh Graves. Johnny Warren, the Earls' fiddler is son of long-time Foggy Mountain Boys fiddler Paul Warren. O'Brien performed 2011 Port Fairy folk festival with his band Oceans Two . When Tim recorded 13th album Traveller in 2003 he used research from a 1987 Australian tour. O'Brien and his band Hot Rize and alter ago Red Knuckles & The Trail Blazers played a Mittagong bluegrass festival and Sydney gigs. Douglas's 14 th solo album also shares the name Traveller - 15 th album What If was released on August 18. Douglas, 61, and Bales also guest in Alison Krauss's band Union Station . Tamworth singer-fiddler Ashleigh Dallas becomes a light house in her storms of life in her Nu Country return. Lighthouse is title track of Ashleigh's fourth album that also features grandfather Rex, now 78. Ashleigh, now 23, began playing fiddle at 6, mandolin at 10 and wrote her first song at 12. The dual Golden Guitarist then joined Kasey Chambers' band at 15. Kasey produced her debut album Dancing With A Ghost at brother Nash Chambers Foggy Mountain studio in the Hunter Valley. 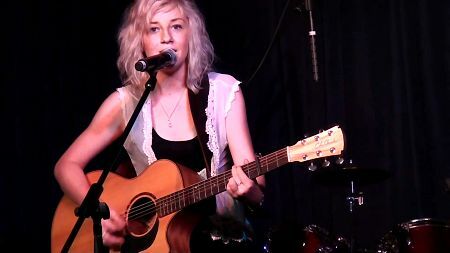 She co-wrote Kasey's song Wheel Barrow - first single from Kasey's seventh solo album Bittersweet and played mandolin and banjo on the disc. Ashleigh is daughter of guitarist Brett Dallas and sister of bassist Lindsay who initially flew the coop with Tamworth family band Chasing Bailey. She paid tribute to late Uncle Jeff who died prematurely in the song Taken that she penned with her dad. Ashleigh also cut a duet with Bill Chambers on their co-write Riding The Rails. CLICK HERE for an Ashleigh CD feature in The Diary on December 7, 2013.